We are a leading Manufacturer of process indicator from Vadodara, India. Being a client-centric organization, we are engaged in offering Process Indicator. 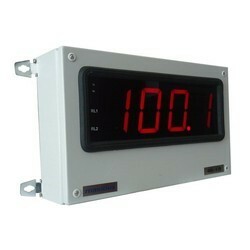 These displays are suitable for displaying process parameters like flow, temperature, level, speed, pH etc. Available in different digit heights.Our products are made under the leadership of adroit professionals using the industry allowed material and advanced technology. Moreover, client can get the provided products from us at very economical prices.